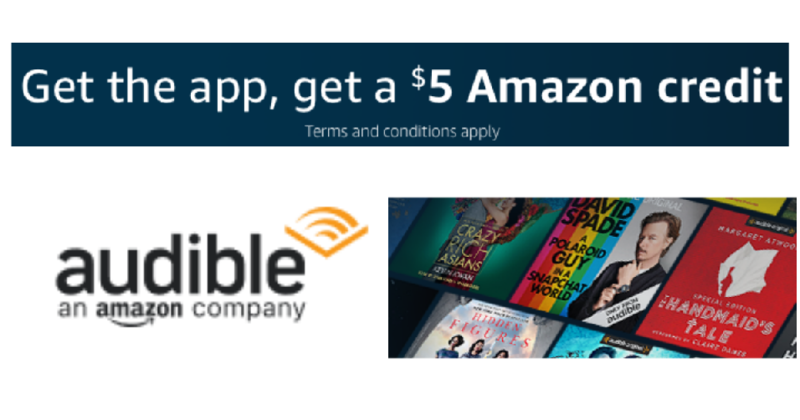 Grab a free $5 Amazon credit when you download the Audible app to your FireTV (first time downloads only). Do note you will receive an email notifying you that the Amazon.com credit has been added to the Amazon account associated with your device within 48 hours of downloading the app. Use your Amazon Credit within 30 days on any products sold by Amazon.com excluding digital content. Offer valid through 11/13 or while supplies last.